Home » Gadget » Powered by Snapdragon 660, How Much Price Meizu 15 Lite? Powered by Snapdragon 660, How Much Price Meizu 15 Lite? Meizu will celebrate its 15th anniversary with the release of three phones on April 22, 2018, ie Meizu 15, 15 Plus, and 15 Lite. According to some sources, Meizu 15 Lite will be created as the cheapest smartphone among the three. This is in line with its name "Lite" which is most likely to be priced at the cheapest of all three. This smartphone is expected to be set for 1499 yuan or equivalent to Rp 3.2 million. Benchmark price given is quite cheap when compared with the specifications diusungnya. Indeed, according to some previous leaks, this device will be powered by a Snapdragon 660 SoC processor which is the best mid-range chipset ever released by Qualcomm. If this information is true, the Meizu 15 Lite will be one of the best handsets in the mid-range smartphone range. Other specifications include a 5.46 inch IPS screen that will display images at Full HD resolution. 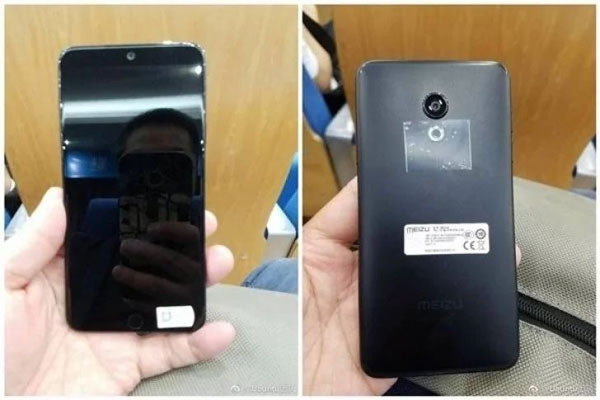 Based on the latest leaked images circulating in China, Meizu 15 Lite will be present in black variant with full metal unibody design. On the back side, you will find one camera lens mounted with 10-LED Flash. While on the front there is a fingerprint scanner that is placed just below the screen. Meizu 15 Lite will be released in several configurations. The possibility of this smartphone will be offered in 3GB, 4GB or 6GB RAM variant. All three will then be coupled with internal storage of each 32GB, 64GB or 128 GB. The Meizu 15 Plus will be a premium version with a 5.95 inch screen that displays images with Quad HD resolution. Its performance relies on Samsung Exynos 8895 octa processor processor as used by Samsung Galaxy S8. It will also be crammed with 4GB or 6GB RAM options, and will have a choice of 64GB or 128 GB internal memory. Unlike his brother Lite, Meizu 15 Plus will have a dual camera feature. 0 Response to "Powered by Snapdragon 660, How Much Price Meizu 15 Lite?"